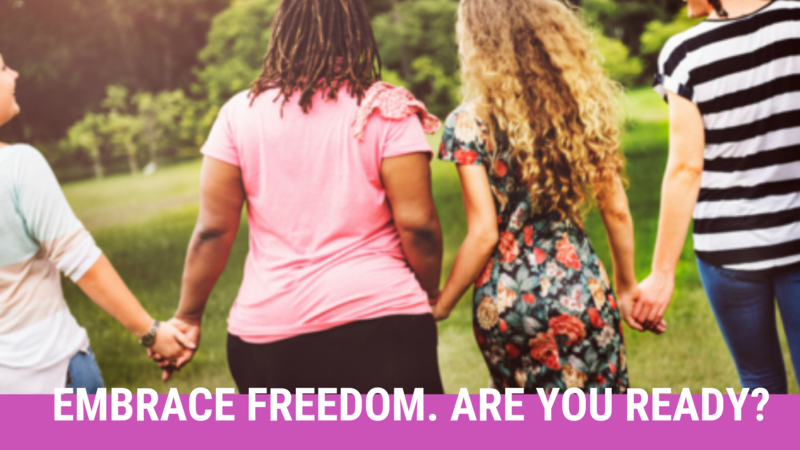 No More Excuses – Walking in Freedom! We make excuses for just about everything. We give excuses to why we can’t go back to school. Make excuses for why we can’t forgive. We excuse ourselves for not being able to give, show compassion or serve God and in His kingdom. Excuses, excuses, excuses. I wonder if Jesus gets tired of hearing my excuses. In today’s passage, a man had been sick for 38 years and had been waiting – in that spot – for 38 years to be healed (v. 5-6, MSG). Now it appeared this man had many opportunities to be healed since he’d been there for such a long time. Surely he could have asked someone for help. Had he asked for help? Did he consider asking for help or did he have his own reservations to why he shouldn’t be healed? The omniscient Savior, knowing this man’s situation, asked him a reasonable question, “Do you want to be healed?” Basically, do you really, really want to be delivered from your condition? And of course, instead of answering with a “YES”, this man gave more excuses. My sister, how bad do you want to be delivered from your conditions? How bad do we really want that healing? How bad do we want to change? Are we using fear as an excuse? What about our inexperience? Could doubt be our excuse? Are we holding on to the mentality that we can’t see a way out for ourselves? So we fail to ask for help. We fail to dream. We miss the opportunity to believe in the possibilities. How long has it been since you’ve taken a chance to pursue your dream? Does it seem like it’s impossible? Are your excuses blocking your view to believe? How long will it take you to realize that your dreams can become a reality, once you stop making excuses? Will it take 10 years? 20 years? 38 years? It’s time to stop making excuses and start taking chances. Passionately pursue. Boldly believe. Take that first step! No more hesitation. No more apologies. No more explanations. Stop second guessing yourself. Go for it! Trust God and pursue hard after it! My sister, Jesus is beckoning you to step out of the boat. He’s calling you to walk on the water. Be brave. No more excuses. Don’t allow excuses and fear to be the reason you don’t pursue your dreams. Just do it. Ask Jesus to give you that drive, fervor, creativity, and direction to accomplish your goals and pursue your dreams. And guess what? He will. During your quiet time, meditate on today’s scriptures. Be motivated to pursue your dreams and make no excuses about them! READY TO IGNITE? Let me help you ignite your passion. Click here to learn more.